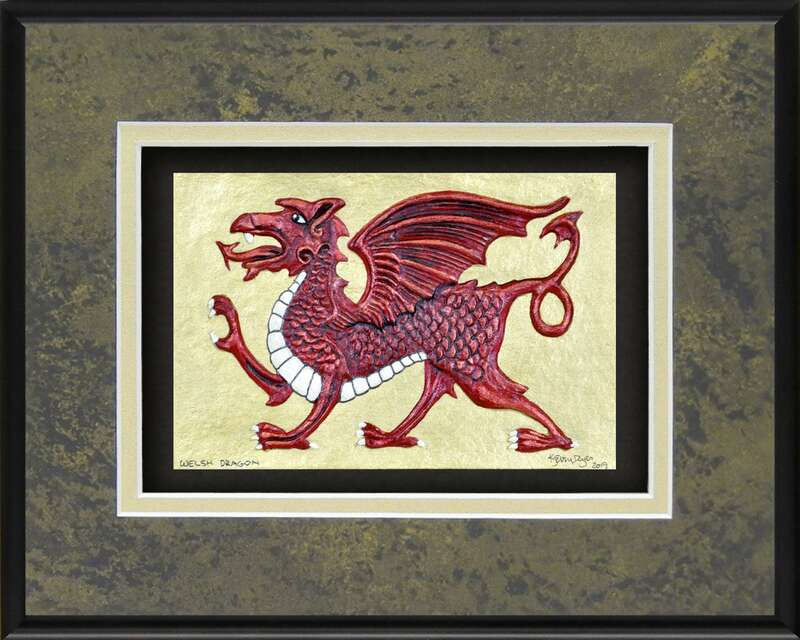 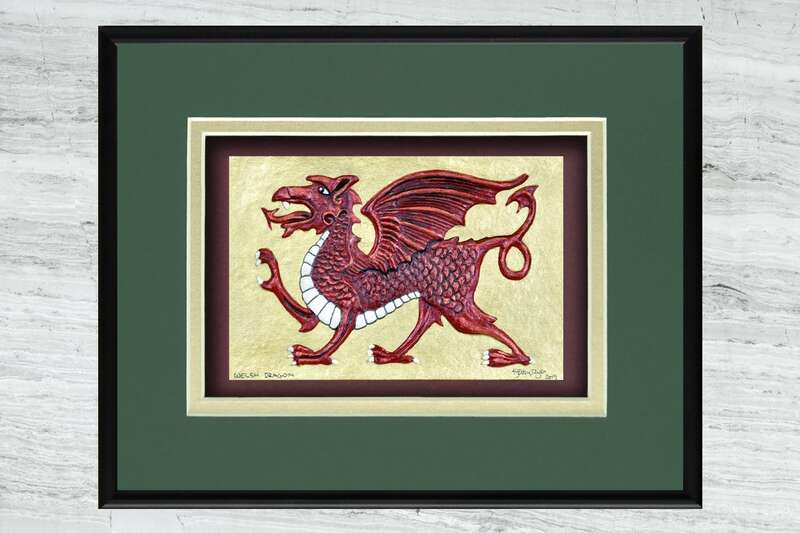 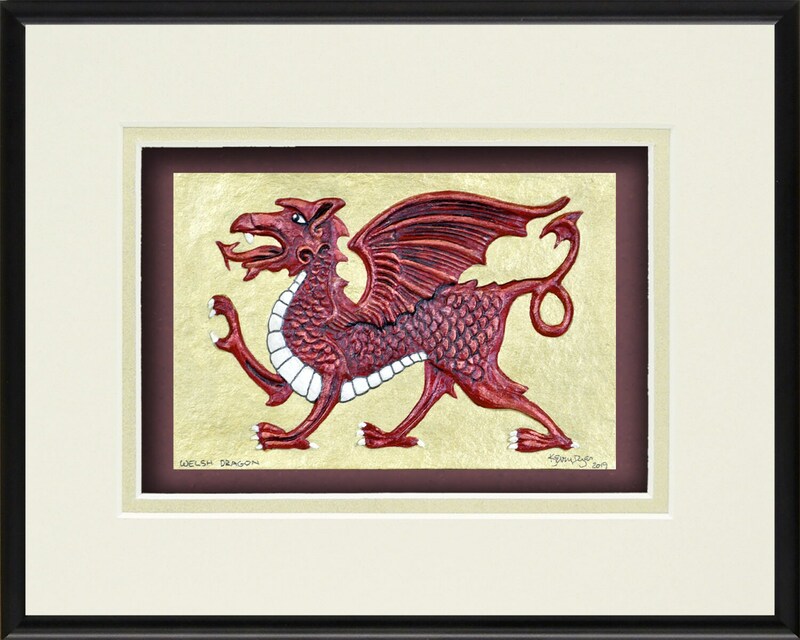 The national symbol of Wales, the Welsh dragon is said to be about the size of a large dog, about three feet in length. 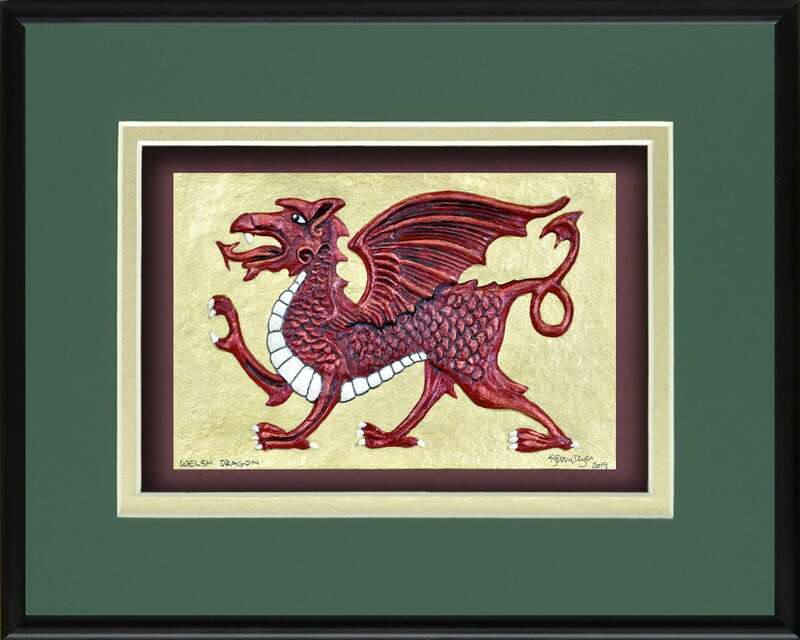 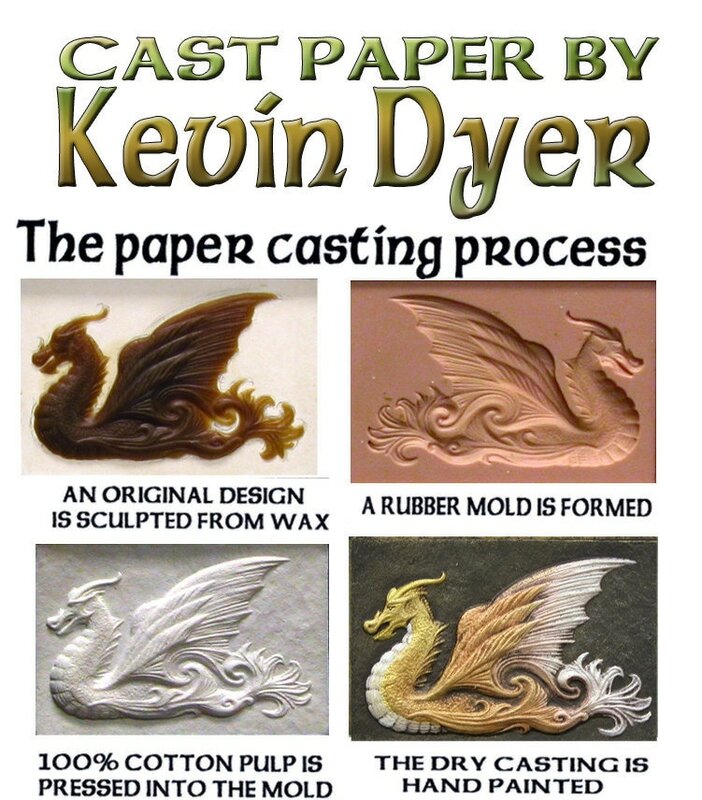 Rather small for a dragon, he makes up for it with a fierceness and determination that demands respect. 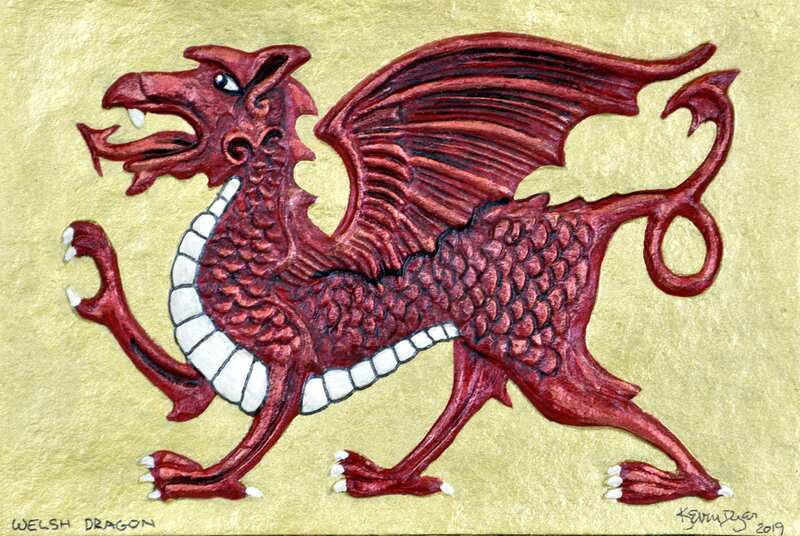 His red coloring is an indication of fiery temper, so it is considered wise to stay on his good side. 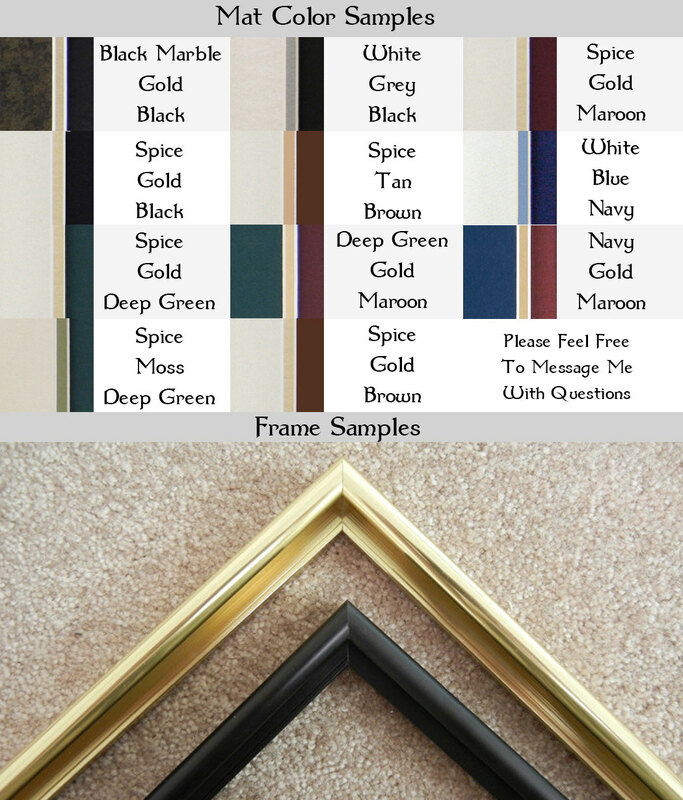 The frame dimensions are 8" x 10" and 3/4" deep.